Upper School students enjoyed their first Human Development Day of the year in mid-September with visits to a variety of service, education, and equity agencies in the Bay Area. 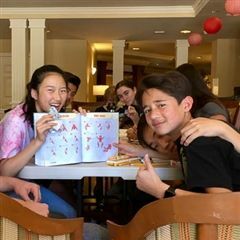 The Upper School Human Development curriculum "centers on our students’ social and emotional well-being and an imperative to engage students meaningfully with others, including direct interaction with issues, which may cause discomfort or challenge their assumptions. By devoting time and attention to these skills and experiences, we will graduate more self-aware, socially and intellectually engaged, and open-minded citizens who know what matters to them, so that they may navigate their lives with intention and joy and become agents of change." Thank you to our community partners for this collaborative day!